Remember Sean Morrison of Morrison Security, the owner of the firm hired by the Illinois GOP to threaten Libertarian Party petition circulators with gun-toting “thugs?” Now GOP leaders say they expect Morrison to be appointed to succeed Cook County Commissioner Liz Gorman Wednesday night. Morrison says he is “cautiously optimistic” about the appointment. But insiders say the news could re-open some angry political wounds. “It’s outrageous for this man who was directly involved in voter suppression efforts against the Libertarian Party may be appointed to the Cook County Board,” said William J. Kelly, an Emmy award-winning TV producer and former statewide GOP candidate for Illinois comptroller, who will be speaking at the Illinois Libertarian Convention in July. Morrison and his firm made headlines last August after the Chicago Sun-Times reported that the Illinois GOP hired armed private investigators from Morrison’s firm to intimidate the Libertarian Party’s signature petition circulators. At the time then candidate Bruce Rauner denied any knowledge of the armed intimidation threats despite his deep ties to the bad actors. Read the rest via Sean Morrison, owner of gun-toting firm that threatened Libertarians, up for Cook County Seat | theillinoisinsider.com. Bruce Rauner’s spokesman says the Republican nominee for governor knew nothing about the unusual strong-arm tactics used by his allies in their failed effort to keep the Libertarian Party candidates from appearing on the November ballot. The statement from Rauner’s campaign followed my column last week on the Republican deployment of armed private investigators to challenge the Libertarian slate’s nominating signature petitions. It’s easy to say you oppose voter intimidation and greater engagement in politics. But did Rauner do all he could to deter those who were acting to further his interests from engaging in the sort of behavior he now repudiates? Public records show there are strong ties between Rauner and those involved in the effort to knock the Libertarians off the ballot. 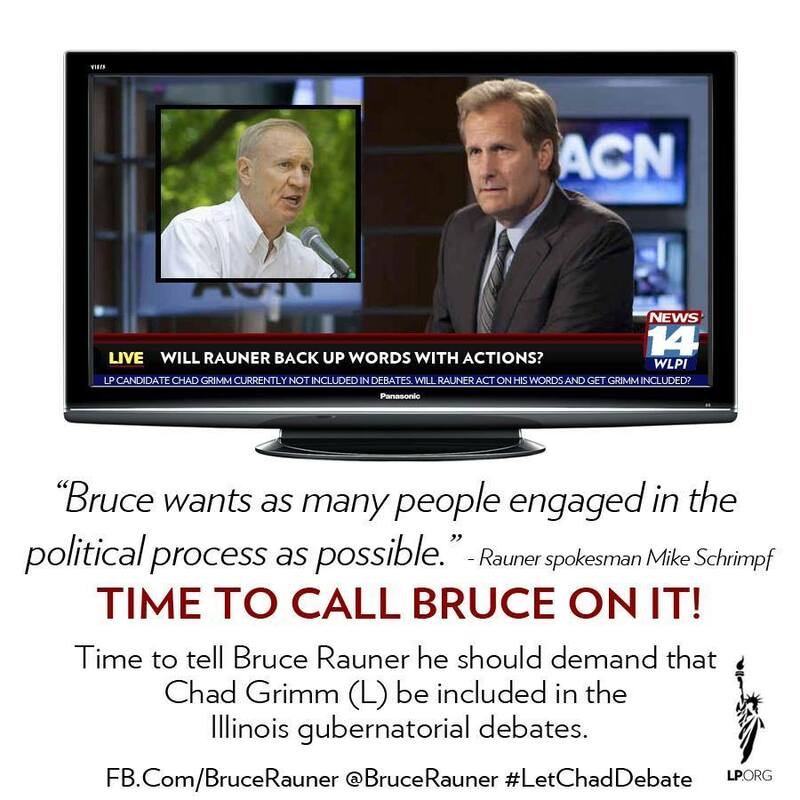 Read more via Rauner firing blanks in flap over hired gun in ballot challenge? | Early & Often.